Bryan Zarzuela came out victorious in the first ever Manila Dev Challenge this year which was hosted by Freelancer at SaDoce in Smart Tower. Zarzuela competed with the top finalists and undertook the six grueling hours of nonstop coding. Along with Zarzuela are three other winners from the Manila Dev Challenge, and two were given with special awards. Kevin Charles Atienza of Kalibrr was declared as second best, while Marte Soliza of Insync copped the third place, and lastly, Johan Sten got the fourth place. On the other hand, two people caught the attention of the judges and they were given special awards. Tim Joseph Dumol of Kalibrr got the special award for the Best Performance in the Preliminaries, while Joseph Emmanuel Dayo of Friendster grabbed the special award for the Best Solution for the Hardest Question. Zarzuela, as the champion of the Manila Dev Challenge, took home the P100,000 prize money; Atienza, the second placer took home P40,000; and Soliza, the third placer, took home P20,000; Sten, the fourth placer took home P10,000; lastly Joseph Dayo and Tim Dumol took home P15,000. 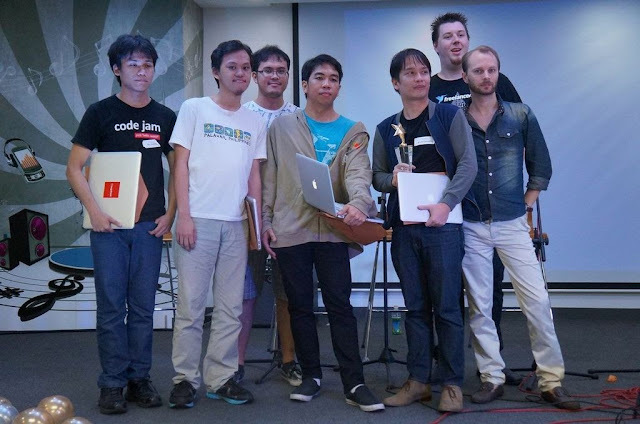 The first ever Manila Dev Challenge had begun in June 2013. And this competition had encouraged more than a thousand of participants from all over the country. These thousand participants had all joined in the initial qualification round, and they were cut down into the best forty finalists who qualified, leading to the competition held at SaDoce in Makati for the final event. Triple Webby award-winning Freelancer.com is the largest outsourcing and crowdsourcing marketplace in the world. Freelancer.com connects businesses with nearly 8 million independent professionals globally, specializing in fields as diverse as software development, writing, marketing, engineering, and the sciences. The average job is completed for under US$200, making Freelancer.com extremely cost-effective for small businesses unable to justify the expense of hiring full time.